A Wilmington native, Charlie started several businesses in the area and eventually entered the commercial real estate field in the early 80’s. In 1989 he opened Charlie Rivenbark’s Restaurant and in 1998 became the managing partner of the Annabelle’s restaurant chain along with three other investors. He remained in that position until 2004 when he re-entered the commercial real estate field with Maus, Warwick, Matthews & Co.
After graduating from New Hanover High School in 1967, Charlie entered the US Army on January 21, 1969. He served a tour in Vietnam with the 196th Light Infantry Brigade from 1969-1970 and was honorably discharged in January 1971 as Sergeant E-5-11B40 Infantry. Following his service to our country, he attended the University of North Carolina at Wilmington from 1971-1973. In 1993 Charlie was elected to the Wilmington City Council and was re-elected in 1997 for a second term. 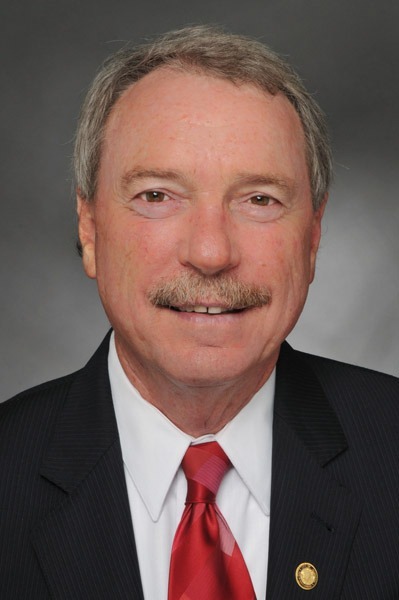 Charlie was elected again in 2009 for another four-year term, where he currently serves as council’s representative to the Cape Fear Public Utility Authority Board of Directors and to the Board of Wilmington Downtown, Inc. (WDI). In 2001, after years of committee service, he was selected as an officer for the NC Azalea Festival and served as President of the 2007 Festival. Charlie is family oriented and is committed to being involved in the community. He has two sons, Chad and Travis, and three grandsons, Eli, Nikko, and Greyson.